As the end of August is near it is now the time to pack up everything from home, jam way too many suitcases in a small car, and move back to school! Some younger teens might not want to think ahead to the daunting reality that school is right around the corner, but for most college students it is actually the opposite. Excitement is in the air because within the next few weeks college students will either be stepping onto campus for the first time as freshmen, or returning and cheerfully reuniting with friends. Now, along with the usual back to school necessities such as jeans and a backpack, many college students will not leave home without their favorite accessory, a smartphone. When you look at the popular selection of apps on a smartphone they will normally include cult favorites such as Facebook, Angrybirds, and Pandora. While all those apps are nice to pass the time on the drive to school, college students should stock their phones with apps that will help them succeed during the year. I thought I would share my favorite back to school apps that make your backpack a little bit lighter, and allow your smartphone to make you a little bit smarter. Flashcards– This app is one of the best study tools because it allows you to learn loads of information through the use of digital flashcards. One of the world’s most efficient study tools is now more environmentally friendly because you can make hundreds of flashcards without using any paper. 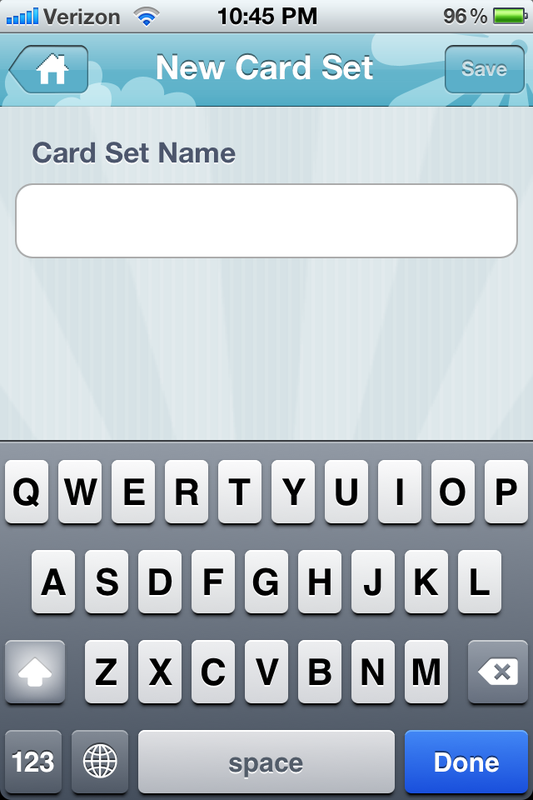 This app also allows you to simply create a new set of cards right from the app and immediately start studying. Another option is you can download flashcards from Quizlet, the leading online study site, and add them to your library for offline studying. 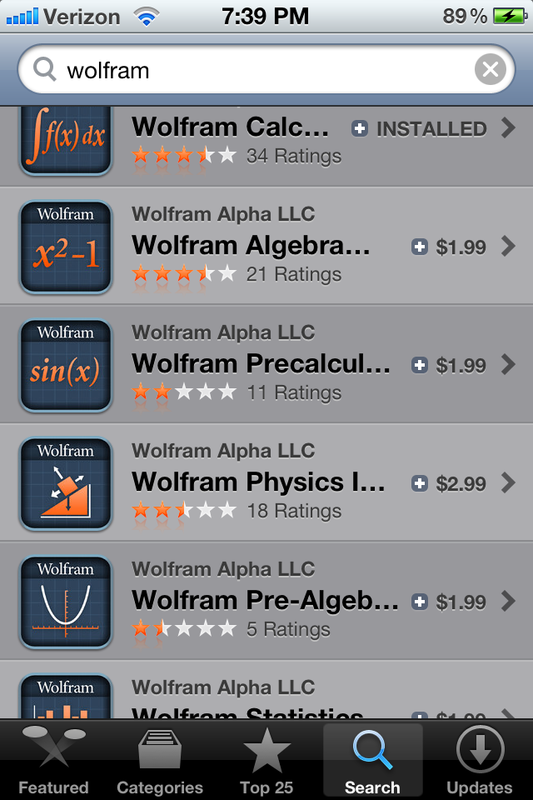 The Wolfram series of apps are great for any math course you may encounter. 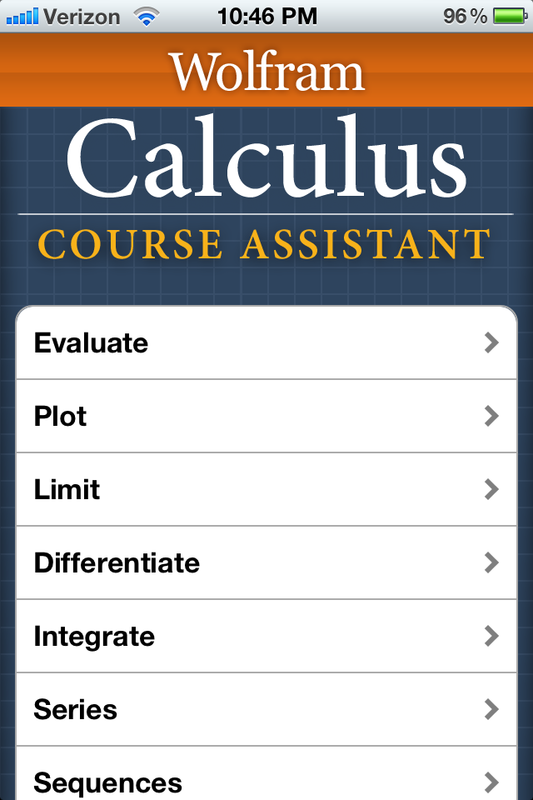 The list of available apps match popular math courses, and although they are not free, these apps are a great tool to help with homework and go over concepts learned in class. Instead of just having generic examples for you to do, each of these apps can solve specific problems, that you enter, while providing step by step solutions. They can integrate, differentiate, and really serve as a “mini tutor” to help work out any equation. A modern idea that smartphones explore is cloud storage with the two most popular apps being Dropbox and GoogleDrive. Through this service students can have access to documents, photos, and videos, no matter the location. Both apps basically serve the same purpose, so a lot of people find themselves asking Is Google Drive that Different from the competition? 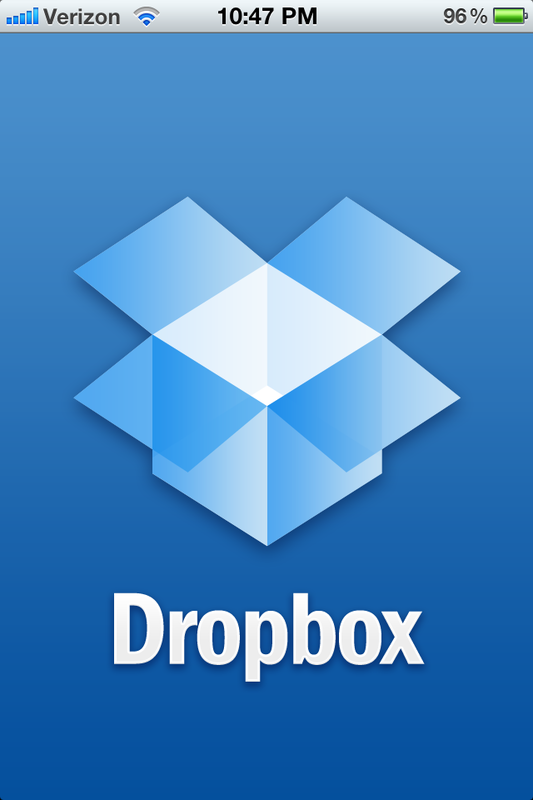 I personally use Dropbox because I find the design to be very clean and easy to use, but any cloud storage app will provide a similar result. No matter the service, it will allow the everyday student to overcome the problem of procrastination by granting quick access to his or her files online so he or she can print a research paper in the library the morning it is due. I have always liked to use my phone instead of a standard, written agenda to keep track of all my “to do’s.” Keeping with the synced devices theme, the app Wunderlist helps me stay on top of homework and any outside tasks I need to get done. This specific app also allows you to sort your list by order of importance, set reminder notifications, and share your lists with friends. You can collaborate through social networks and email, or you always have the option to print your list out. My last app is not specifically school related, but the app GroupMe allows you to create chats with friends no matter what type of phone or provider they have. This app is a great, free way to collaborate on group projects, to be in constant contact with your roommates, or just to keep in touch with friends from home. Now that I have listed my top 5 apps for back to school, let me know what your favorites are! Do you agree, or are you outraged that I left your favorite off the list? Let me know in the comments below. 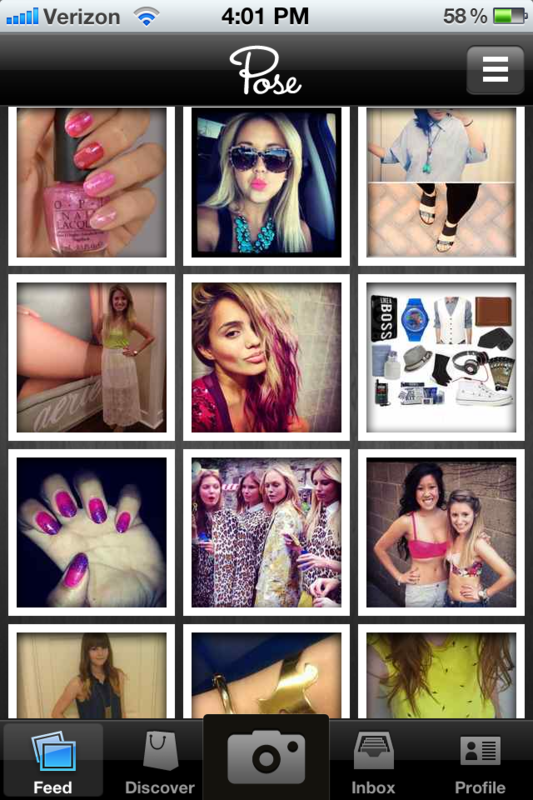 Who Are the Contenders to Be the Next Instagram? 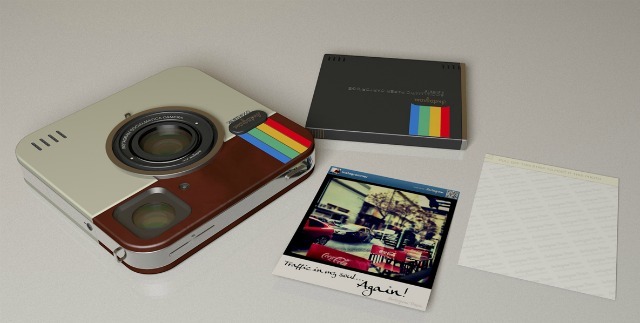 Since its launch in 2010, Instagram has gone viral. 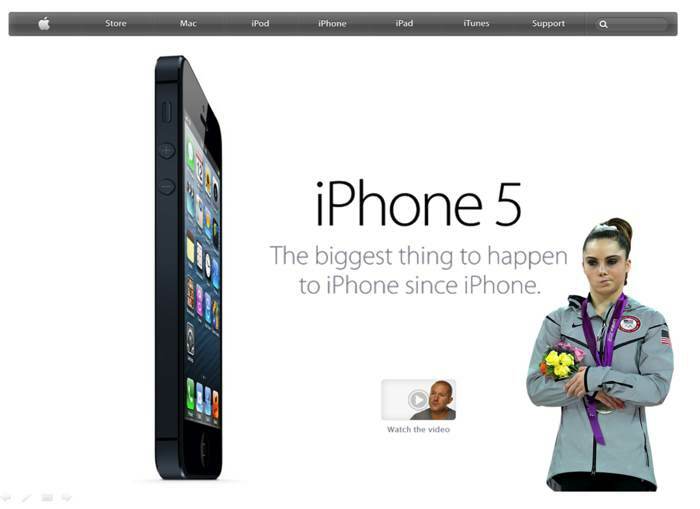 They have over 30 millions users and their acquisition by Facebook made front page news. Now, their worldwide success is what many startups aspire to obtain. I thought I would take a look at companies that have the potential to achieve the same level of success, and came up with a list of 3 companies that I think are the contenders to be the next truly massive success story. 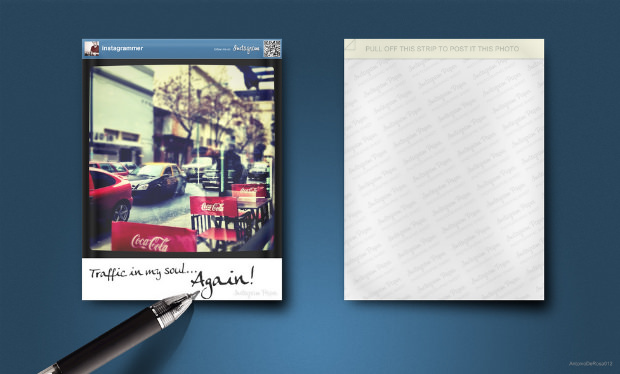 An app called Viddy takes on a very simular concept to Instagram. 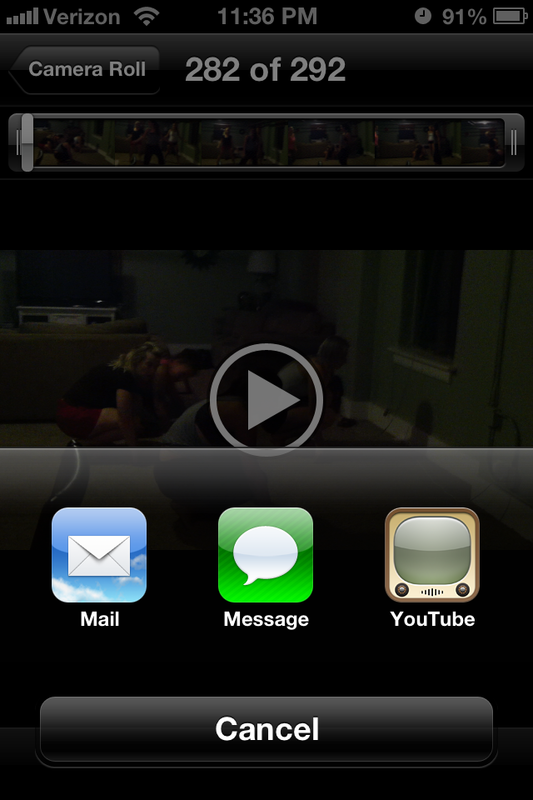 It has the same idea framework, but instead of sharing photos, Viddy allows users to captures 15 second video clips. The next steps remain the same as Instagram as you take the captured media, add a filter, and share with friends. Some might find the 15 second mark “insanely short,” but it forces you to cut out any unnecessary footage and get right to the point. 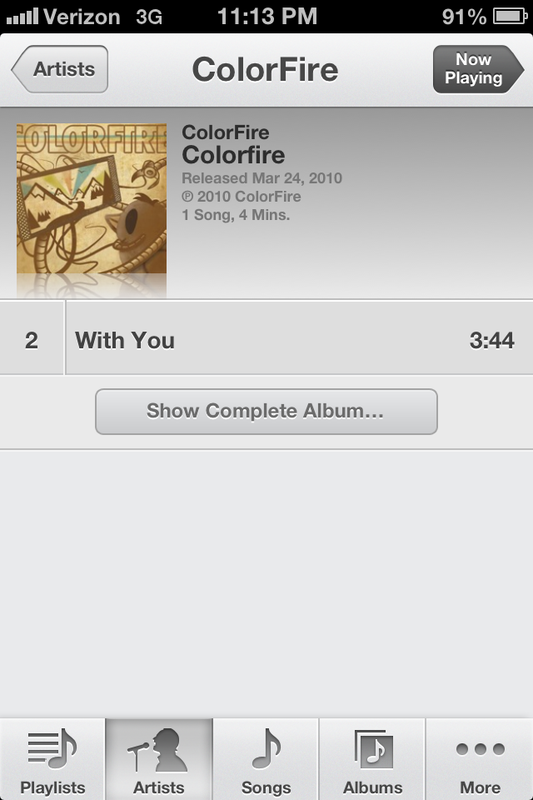 Why do I think this copycat app won’t just be thrown aside? Because it already hasn’t been. 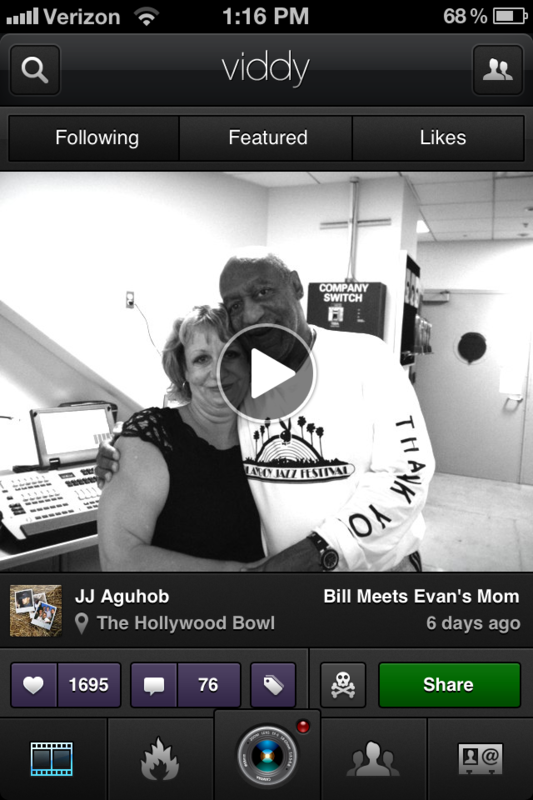 Celebrities have already taken an interest in Viddy as a way to let fans into their lives through little video snippets. 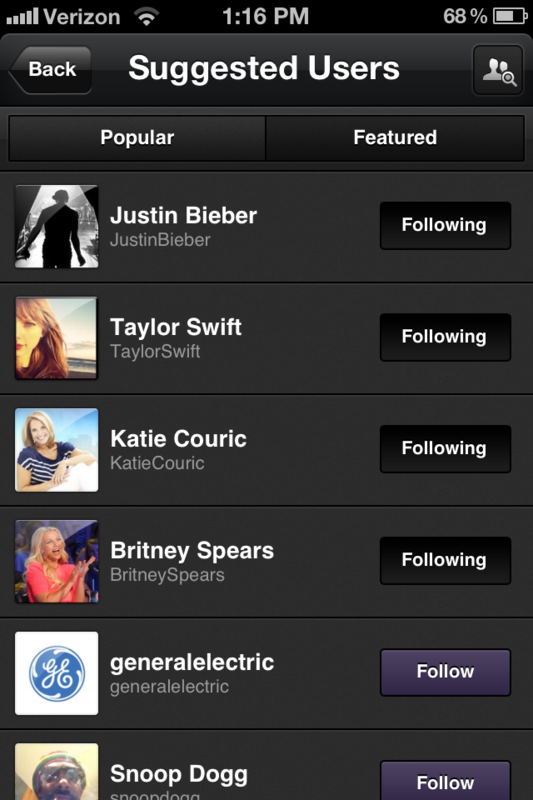 With music icons and even Facebook’s own Mark Zuckerburg using the app, it sets off an influx of new users. This kind of free advertising creates a buzz large enough to give Viddy the possibility to become the next Instagram. I found out about this app from an article on mashable, and I think it has real potential. 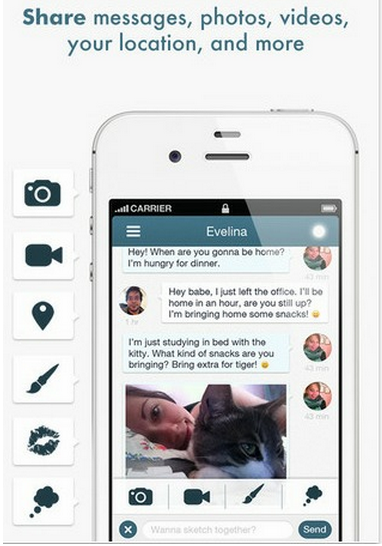 Pair is an app that makes it easier to stay in touch with that one person who you send 90% of your text messages to. Instead of sending “messages to a single person using tools that were designed to send messages to everyone you know,“ Pair allows you to send photos, video, your location, and even things like sketches to one person in a single message. Beyond the basics, they have some cheesy features for couples to enjoy. ThumbKiss is a feature that lets you see where your partner’s finger is on the screen, and when your thumb meets theirs, both of your iPhones will vibrate. If that’s a little too much tech love for your liking, you can relax when you’re miles apart by sharing a live white board. Some possibilities to use this are to play games, share drawings, or create a mutual shopping list. I know so many people in my life that have the need for this app. I could see people in middle school all the way through married couples finding use for this app and loving the features it provides. This app takes on photo sharing from a fashion perspective. Pose enables you to snap a photo of an item of clothing, tag it with the item’s price, brand, and store, and post it to Pose. Your followers can “heart” an item (a la Instagram) or discuss their opinions in the comments. Now, the practicality of this app is that brands can use it to drive business. The most common way to use the app is when you’re in a store and you come across and item of clothing you may want to buy, Pose invites you to take a snapshot. 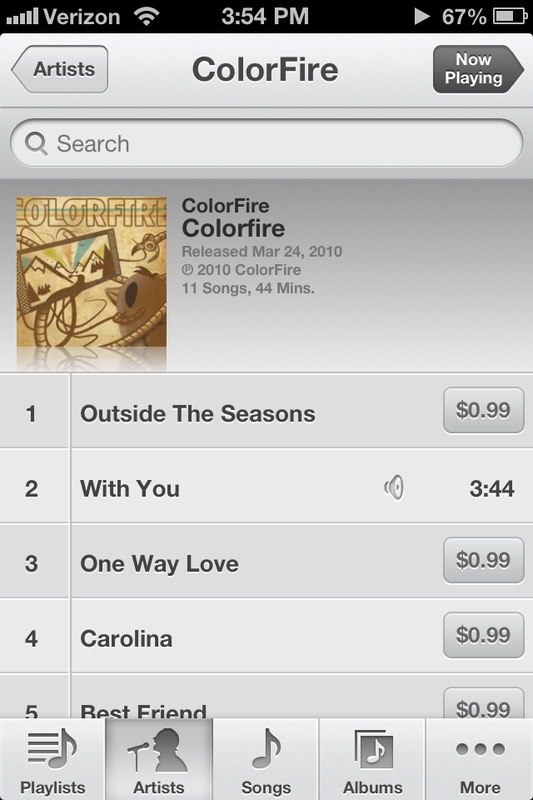 You can then tag it with your current location and the item’s price, and share it with friends. While a lot of popular brands have their own accounts where they can post professionally styled outfits, anyone can take a shot at styling the pieces and then share the same way. The idea is really attractive to anyone interested in fashion. You get to share your style and the looks you create with fashionistas all over the world. People you don’t even know can approve of your style. There are also brand names already on the site such as Levis, Coco Rocha, and Jewelmint. Getting the experts in on this app has driven all their fans to start posing themselves! Something all these apps have in common with each other and Instagram is the price, as they are all available for free in the Apple App Store. When the app is free there is no reason not to try it out, so see what you think. Who do you think is the strongest contender? Is there an underdog that I didn’t mention? Let me know in the comments! Does Your Life Follow a Path? Now in its second version, Path embodies the ultimate social media tool that combines your Twitter updates, Facebook photostream, Foursquare checkins, and Spotify playlists. Path, originating in November of 2010, serves a canvas for the modern “smart journal.” It allows you to share photos and videos, where you are, whom you’re with, what you’re listening to, when you go to sleep and wake up, and any other thoughts you may have with an intimate network. 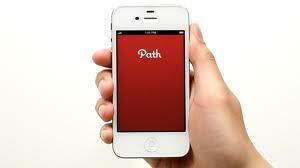 Take A Quick Tour of Path 2.0 ! Like other social networks, friends can interact with content by responding with comments. This will start conversations on any post. Users can also pick from a list of five emoticons to quickly express how they feel about what has been posted. A big concern many users have with networks such as Myspace, Twitter, and Facebook is how unreliable the privacy settings are. If you sign up for an account with these platforms, and relied on the manufacturer settings, most of your content would be available for the world to see. On the other hand, Path’s default setting is private, so the only people who see your posts are those who you personally accept. Path has the ability to differentiate itself from other social networks, but the user has to be a part of this process. The app is made with a 150-friend limit, so that your “friending” does not get out of hand. Path embodies quality of friends over quantity. This forces the user to meticulously narrow down who has access to your personal information. You have total control over who can see your Path, so choose wisely. If you choose not to keep it as a private journal, you can connect it with other social networks such as Facebook, Twitter, Tumblr, and Foursquare.